Hollingsworth Park is a Traditional Neighborhood Development with great amenities within a short walk. 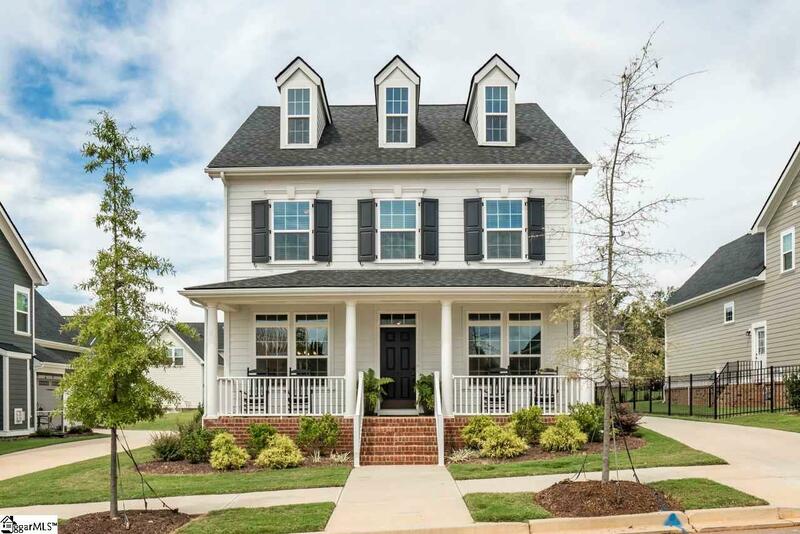 A beautiful park, The YMCA, Stellas Restaurant, and a few others on the way and you can enjoy all of these by living just down the street in this like new 4 BR 2.5 bath with Bonus room home. An inviting covered front porch leads to a spacious foyer which open to a formal dining room on one side and an office on the other. Hardwood flooring and heavy molding throughout the main level. Arched doorway leads to a spacious open kitchen with granite countertops, a large island with bar seating. Kitchen is open to a great room with gas fireplace. Upstairs, 4 bedrooms including a large master suite with walk-in closet and sizable bathroom featuring dual vanity with granite countertops, and walk-in tile shower. A separate stairway will take you to the bonus room that is great for kids of all ages. Dont forget to see the extra-large closet that has endless possibilities. Outside, a long driveway with extra parking pad and 2 car side entry garage leads to a open backyard that provides a great place to play games or just relax. Listing provided courtesy of David Seaver of Coldwell Banker Caine/Williams.